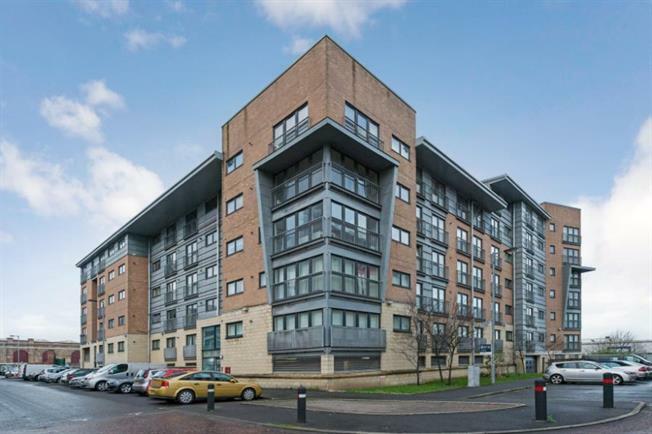 2 Bedroom Upper Floor Flat For Sale in Glasgow for Offers Over £115,000. A modern two bedroom flat by Westpoint Homes enjoying an excellent location within easy reach of the city centre and most convenient for public transport including bus and rail service. A communal entrance with door security and passenger lift gives access to this second floor apartment. Reception hall has separate built in stores off and it gives access to all apartments. The lounge to the front with paris balcony and a adjacent kitchen with a range of wall and floor mounted units and integrated appliances. There is a shower room which is fully tiled and two bedrooms, both bedrooms have built in wardrobes and a three piece ensuite including wash hand basin with storage under, wc and bath.The property benefits from an off street parking space accessed via secure entry with fob control and residents' gardens.